Eyes through the World of Clarins ! For a while, I was the liquid liner type of girl but during the summer I tend to go lighter on the makeup front and resort for alternatives. 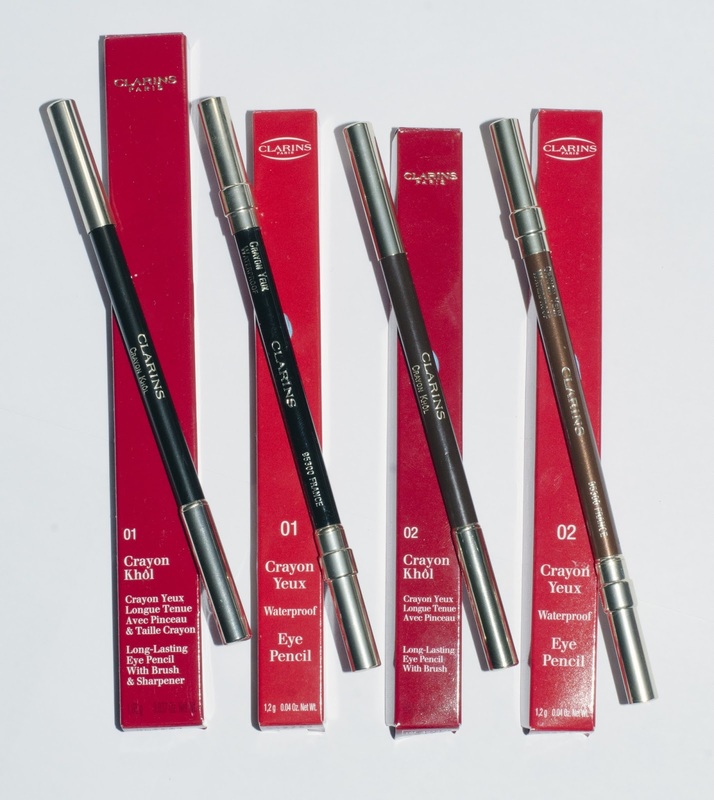 Clarins offers an array of Eye Pencils that last amazingly on the lid, from blacks to colors. I had the chance to try these pencils for a couple of weeks and I completely fell in love with them. Starting with the new Fall 2013 Khôl Eye Pencil, I tried the black version (01) and the brown version (02). These pencils did not transfer on my lids and stayed put all day, I would add the brown Clarins Khôl Eye Pencil to all of my eye looks to replace my winged liquid liner and use the black Khôl Eye Pencil for my night time looks. Now for the Waterproof version of these Eye Pencils, these pencils glide on like butter and they don't budge. I used the Waterproof Eye Pencil in 02 Brown all summer on my lash line and it was perfection! I know not a lot of people want to spend money on eyeliners, as I am one of them. Actually, I would only purchase mine from the drugstore but these are really worth a try if Eyeliners are a product you use regularly. Go take a look at your nearest Clarins counter, in my opinion, they are a very good purchase ! Thank you so much :D I'll definitely try it out !